Craft Moves is exactly what you’d expect from Stacey Shubitz—a book that’s as thoughtful as it is practical. Stacey understands that there’s no quick fix or formula for strong writing. It grows slowly and must be nourished by thoughtful teachers who bring powerful literature into the classroom. If you want to help your students improve the quality of their writing—and who doesn’t?—you’ll find Craft Moves a must-have resource. 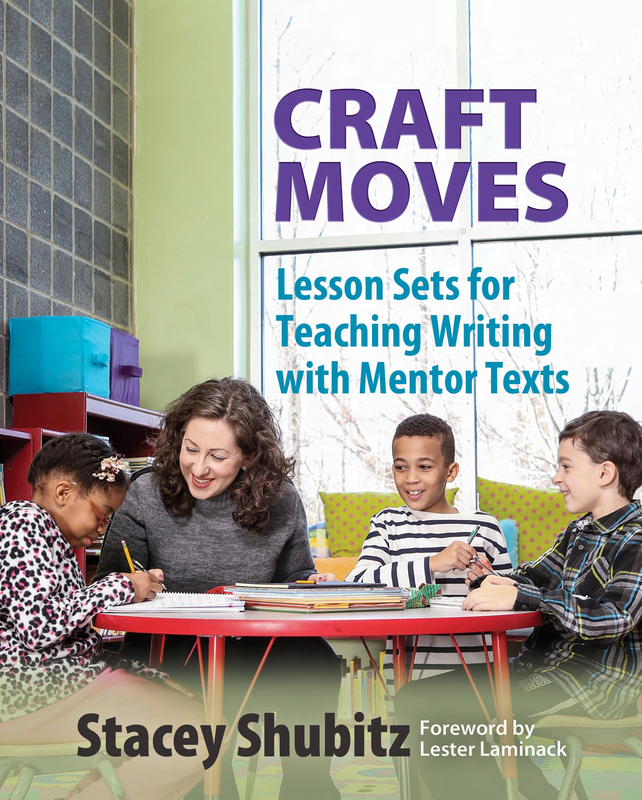 Craft Moves is an enduring present to teachers—a way to think about their writing classrooms and support their writers in a journey toward greater independence and success. 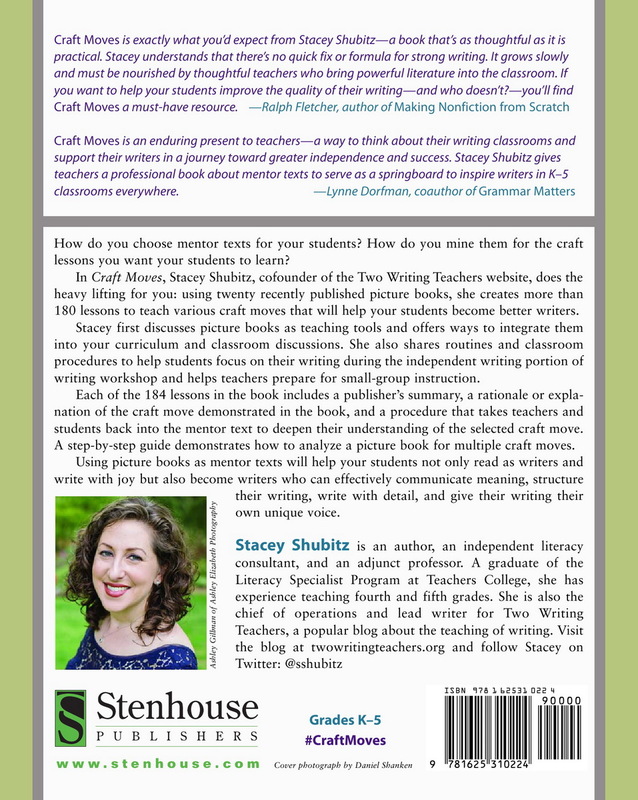 Stacey Shubitz gives teachers a professional book about mentor texts to serve as a springboard to inspire writers in K–5 classrooms everywhere.